Q&A: What Is The Best Video Editing Software For Beginners? We scoured the market and tested dozens of software to ultimately determine the best video editing software for beginners is Adobe Premiere Elements 18. This is our Editor's Choice due to their excellent guided tutorials, vast array of editing features and cross-platform support. 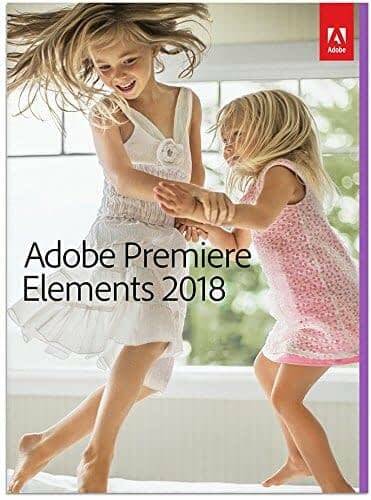 For some beginners, Premiere Elements 2018 might be a bit too pricey with an MSRP of $99 (though on sale to $69.99 while this guide was written). In this case, we recommend MAGIX's Vegas Movie Studio 15 as the 'budget choice' for PC users coming in at half the cost of regular price Premiere Elements 2018. 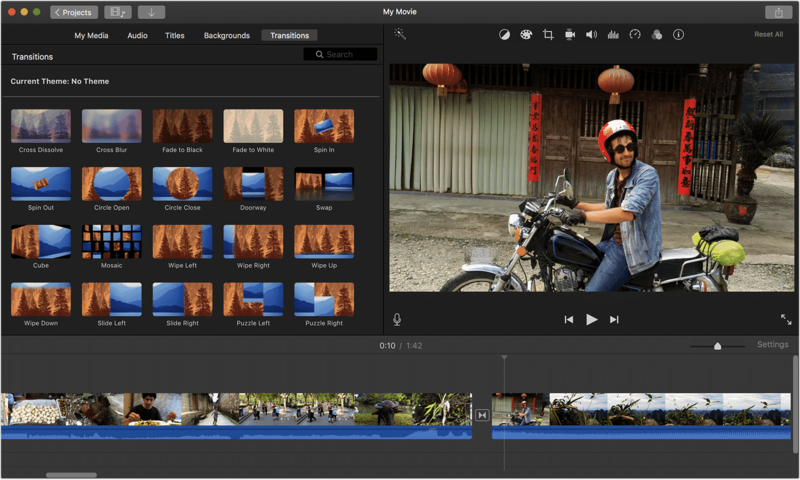 Lastly, for Mac users looking to get video editing potential without breaking the bank then we recommend Apple's iMovie software which comes free with every modern Mac computer. This software is very user-friendly and offers a toned down experience of their higher-end Final Cut Pro X software. An entry-level video editing software from Adobe geared at beginners who have little to no prior video editing experience. The newest version of Adobe's successful Elements software line-up that focuses on teaching the basics of video editing with integrated step-by-step guides and automated techniques to make editing your first videos a breeze. A free video editing software from Apple that is now included with the purchase of every Mac. Apple's iMovie software has been around for quite awhile now, and the company has done a great job updating it over the years. It used to cost money outside of the purchase of your Mac computer although Apple was kind enough to change this to a free download from their Mac App Store for anyone who owns one of their desktop or laptop machines. The lowest version of MAGIX's popular Vegas editing suite offering a toned down user interface and built-in tutorials. 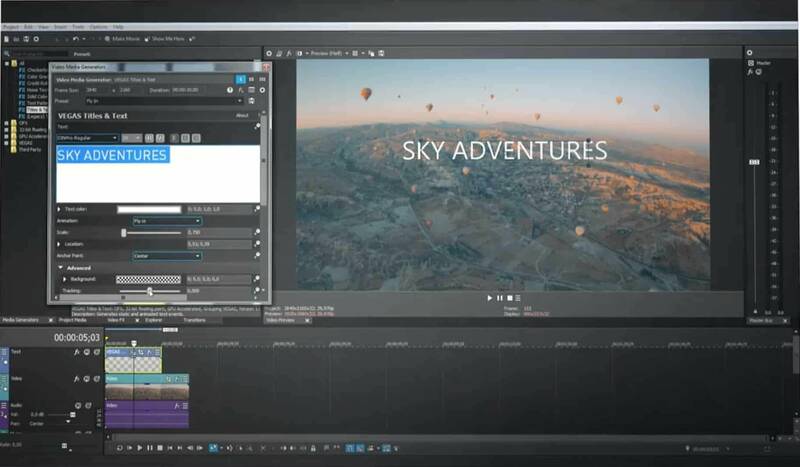 MAGIX has been a developer of affordable video editing software for years, and their recent acquisition of Sony's Vegas software resulted in an entry-level software iteration which is now known as Vegas Movie Studio 15. Why Invest In A Beginner Video Editing Software? Our staff does our best to offer detailed and genuine knowledge of consumer-related tech products and services for your benefit. 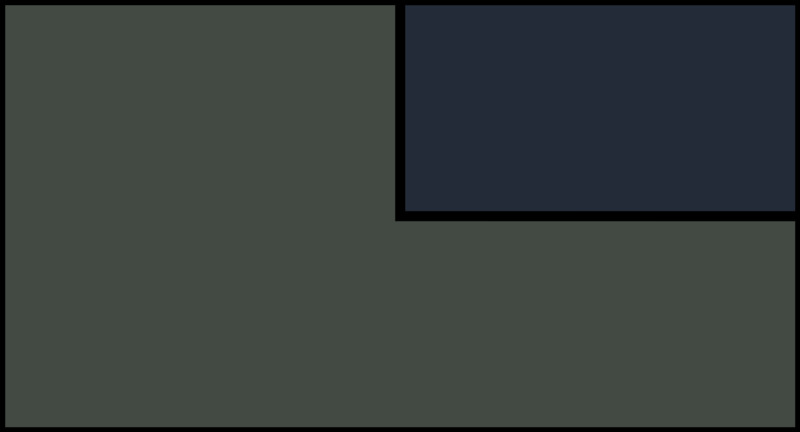 We will never charge for access to this information, but we do actually use (limited) display advertising as well as affiliate links which may earn us a small commission if you purchase an eligible product through our links. 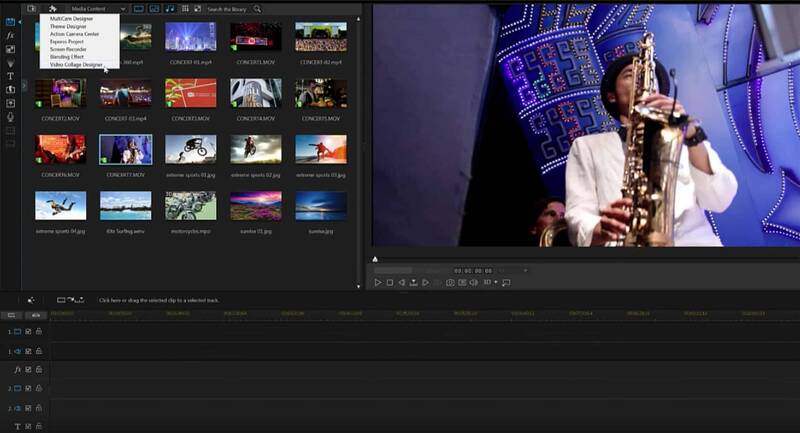 RELATED - Q&A: What Is The Best Professional Video Editing Software? 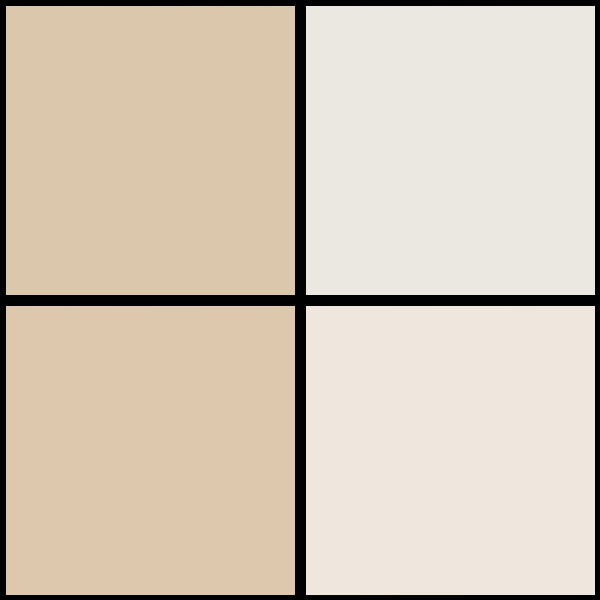 This allows us to make a living and continue to provide this valuable expertise while keeping the lights on. Keep in mind, we pride ourselves on integrity and value. There is no bias or outside influence affecting the outcome or recommendations shown in this guide. We understand that all of this information on entry-level video editing software might be a lot for some of you to take in, especially if you know nothing about the industry, However, we recommend reading the entirety of this article as we will cover most of the important aspects to consider before investing in a beginner video editing software. If you get through this entire guide and still find yourself with a lingering question or concern, you may use the comments section below this article to get in touch with us. We will do our best to answer each comment quickly and be as helpful as we can in answering your question or giving advice regarding your concern. As the digital age of multimedia and social networks become more of a norm, we are being versed in video content more and more on a daily basis. However, many consumers have never had any experience editing video and find the idea of it to be a daunting task. Fortunately, there are many beginner editing applications out that practically everyone can afford. They offer easy to use interfaces and step-by-step tutorials to gain valuable knowledge related to editing video. Home videos have been around since the creation of traditional film cameras, but with the massive advancements in digital technology and HD or sometimes even 4K cameras being right in our pockets at all times, more video is being taken by everyday people than ever before. 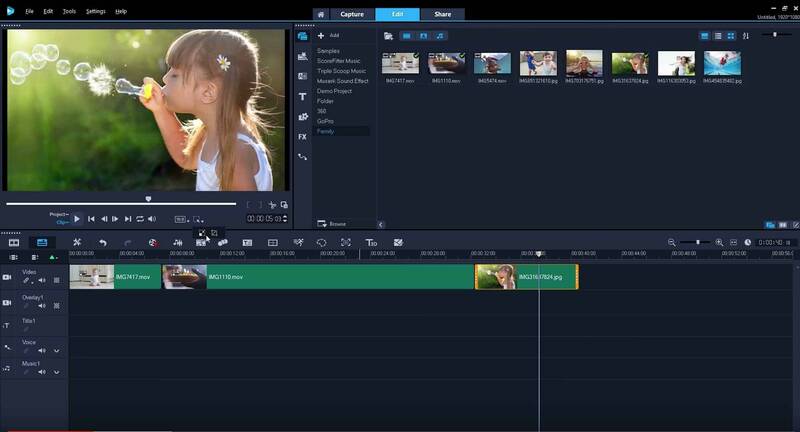 With a beginner video editing software, you can create quick and easy highlights of important memories like family vacations, birthday parties sporting events, school plays or your child's first steps. Cutting out all the unnecessary parts of the video and preserving all of the essential moments for the future. Since all of these entry-level editing solutions offer a way to export an edited video to social media, you can automatically upload a video to Facebook, YouTube or Vimeo for safe keeping and as an easy way to share it with friends or family. Social media has quickly become the most used way to consume information whether it is staying in touch with friends or family or for advertising your business to get the attention of new potential customers. With an entry-level video editing software, you'll be able to edit and share major moments in that are happening in your life whether it is video from a coveted sporting event, travel experience or life event. If you own any type of business, then you should be aware that video marketing is one of the hottest trends in advertising right now with 55% of people watching videos online every day and over 8 billion video views on Facebook daily. Creating a short introduction or promotional video for your business gives you a chance to get yourself in front of a new audience of potential customers and add a more personal touch to your branding. For some of you, a creative side is part of your DNA and may have had an interest in multimedia editing for quite a while yet are intimidated by the thought of learning to edit video. Professional video editing software can be overly confusing for an inexperienced editor and it can easily scare away someone who wants to try to learn starting with the basics. With an entry-level software such as this, you won't get too overburdened with confusing interfaces or overly-complex tools. Instead, you will get a smooth, easy to understand learning experience to hone in your video editing skills. 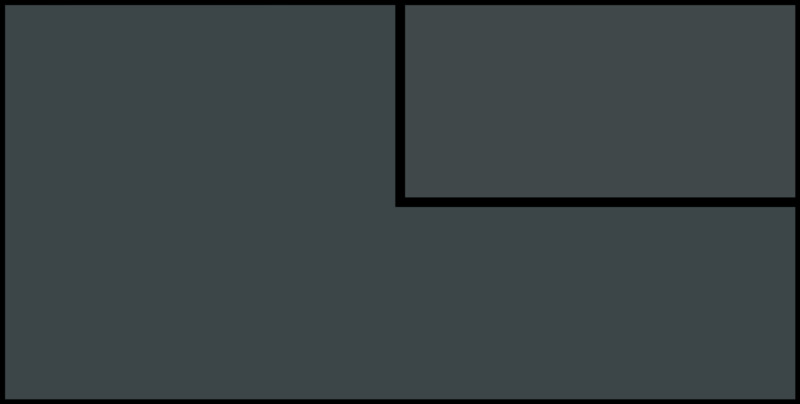 Better yet, some of the options we recommend in this article will actually offer the feature of dedicated step-by-step and "how to" guides for video editing basics starting from how to cut your first clip all the way to adding a title sequence. As many of you know, there is no better way to learn something new than through hands-on experience and continual repetition. Since you are new to the concept of video editing, there are a few features and attributes about the various entry-level software out there. These elements will help you better determine how the software will work for your individual needs and help justify whether the pricing is worth it compared to competitors. 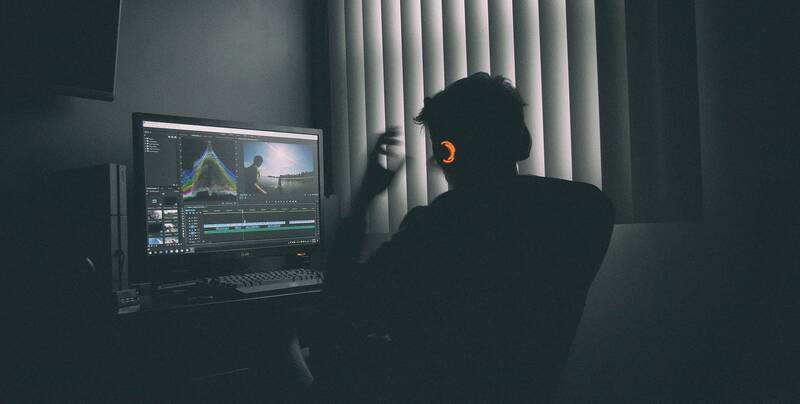 Most of you won't be editing feature films or doing anything too advanced at this point, so the features we recommend taking note of are going to differ significantly compared to our guide on professional video editing software. RELATED: What Is The Best DSLR For Video? Brand - selecting a software developed by a well-known company will save you a lot of headaches in the long run. This is due to the reliability of the application, customer support if you run into issues and the frequency of updates that push our new features or increase compatibility for new cameras. Price - an important aspect to consider for anyone starting out as we know most of your budgets will be significantly lower than an experienced video editor, but most companies in this industry price their entry-level software accordingly for beginners. PC/Mac support - a crucial aspect to consider is whether you plan to utilize the editing software on a Windows or Mac computer. Most of the software recommended in this article is for Windows or PC use, but there are two options for anyone using an Apple or Mac machine. Integrated editing tutorials - some beginner software will come with integrated tutorials or step-by-step guides that will show you exactly how to perform a specific video editing technique without the guesswork or confusion of learning yourself. 4K resolution - many modern video cameras or smartphone will shoot 4K video so choosing an editing software that can import and edit these high-resolution files is a good idea as well as future proofing your software investment. 1-Click GoPro correction - action cameras like the GoPro are common cameras for consumers to own, but their footage looks pretty bad straight out of the camera due to the distortion of the lens. Several of the beginner-friendly editing suites know the popularity of these cameras and will offer action camera footage correction with a single click for added convenience. Video stabilizer - if you are new to video editing, you probably don't have the art of filmmaking or capturing video mastered just yet. While this is normal, a big issue amateurs make when shooting video is they tend to accidentally shake the camera causing unpleasant footage. A good video editing program will offer a built-in stabilizer functionality to help smooth out any shakiness from your capture video footage. Face Detection - a relatively new feature to video editing software is face detection which allows the program the ability to scan your imported video content and automatically highlight clips of which it has detected faces within. This helps to locate the best clips as well as setup smart editing actions like zooming or stabilization onto your subject. Social media exporting - most beginners will be editing for the web (instead of printing on a DVD or Blu-Ray), so it is convenient to verify there are built-in social media export options within the software you choose. With this feature, you can log into your social media accounts and have the program automatically upload the edited file to your profile without having to jump through any hoops or locate any video files. The Elements line from Adobe is comprised of two pieces of software, Photoshop Elements (for photo editing) and Premiere Elements (for video editing). Both are sold separately for $99 each or $149 for the bundle. Adobe is a leader in the digital media industry, and their Premiere Pro CC (the big brother to this software) also won the Editor's Choice award in our professional video editing software guide. 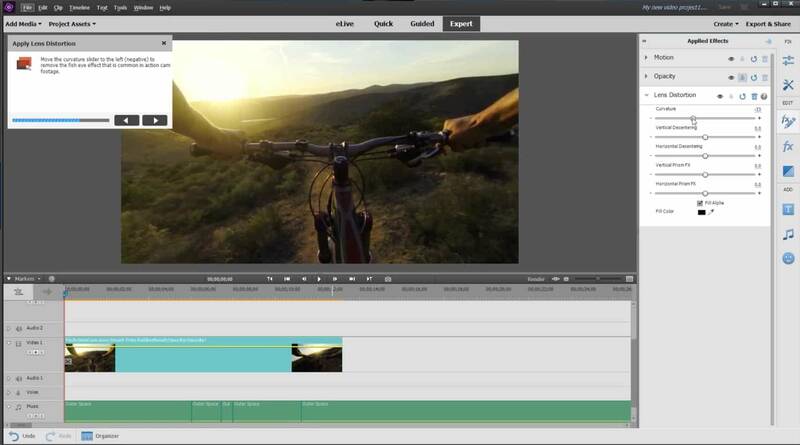 With a focus on ease of use, convenience and learning through hands-on experience, Premiere Elements 18 will help make you a better video editor even if you've had no prior experience. Their stellar interface that can be customized to your skill level (which can hide more advanced features) mixed with their guided edits make this software a joy to use for beginners. Unlike all of the competing video editing software mentioned within this guide, Premiere Elements 18 is the only application available for both Mac or PC. However, the licensing is separate so you'll have to buy the right version the first time around or re-purchase the correct license if you switch from Mac to PC or vice-versa. iMovie has been a staple in the Mac world since its release back in 1999 and Apple has continued to update the software thus keeping the entry-level crowd happy. 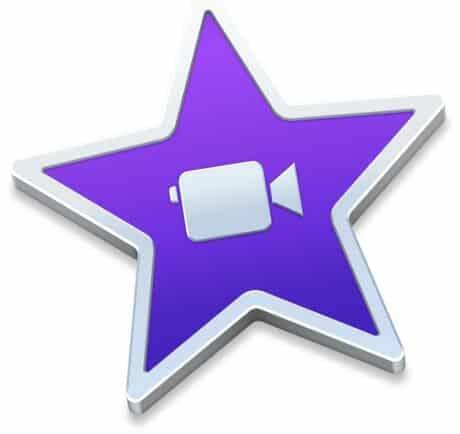 In recent years, the Cupertino-based company would charge an affordable $14.99 through their Mac App Store for access to iMovie, but they decided to make it free as of April 2017. This is excellent news for anyone looking to learn video editing who owns an iMac or MacBook, but unfortunately, you cannot use this software on a PC. Compared to its older sibling, Final Cut Pro X, iMovie is a very dumbed-down version of the video editing software only offering the bare essentials though convenient features like facial recognition. If you have one of the newest MacBook Pros, iMovie gives you full access to use the TouchBar natively software which is really cool for scrubbing your timeline or switching editing tools. Apple updates iMovie regularly so you'll be able to stay up to date on the latest trends though it already can handle 4K video editing and comes packed with fun templates and presents. Sony was the originator of the Vegas video editing software, and the company produced many iterations of this application for high-end use. However, the rights to the software were acquired by MAGIX back in 2016 as Sony stepped away from this segment of the industry. 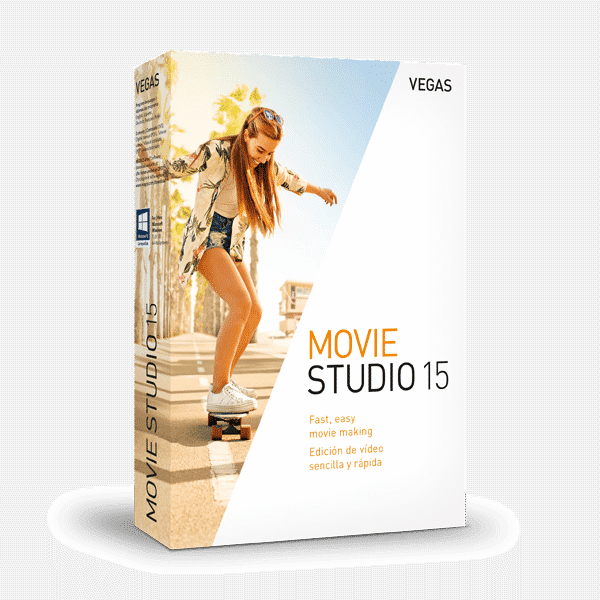 Vegas Movie Studio 15 is the company's entry-level software for consumers looking to get involved in video editing with no prior knowledge or experience. There are three iterations (we are recommending the lowest/cheapest in this guide) which all differ by various feature limitations and more built-in templates as the pricing increases. This base version can handle most of the editing techniques that you'll need to get started, but you may want to invest in a higher version if you plan to edit some more complicated projects down the line. It is worth noting that this base Vegas Movie Studio 15 software does NOT include the stabilization feature so you'll need to get Vegas Movie Studio 15 Platinum or the Suite to access this functionality. 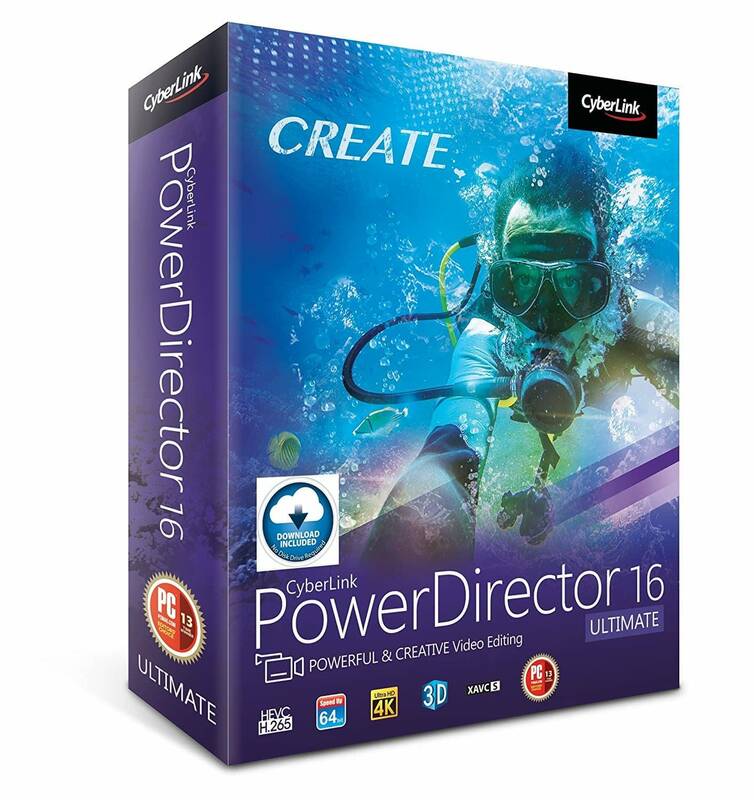 The PowerDirector 16 Ultimate software by CyberLink is similar to its Corel and MAGIX competition with a lot of functionality wrapped up into an affordable, standalone software. There is a clean user interface and plenty of features both basic and advanced, so you have plenty of room to hone your skills with this software while it grows with your editing abilities. A neat feature for beginners is their 'express projects' functionality which allows you to create an edited video in just a few short steps while skipping much of the traditional editing confusion. This utilizes a 'storyboard mode' which merely requires you to import footage, drag and drop the order and then export the edited video sequence for posting on social media or sharing with family/friends. Similar to Corel, the PowerDirector 16 software is intelligent and can automate some tasks that are difficult on other programs. 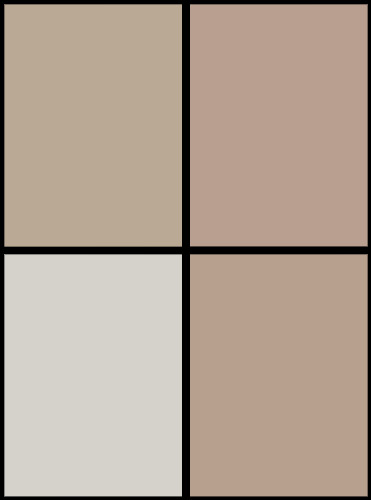 One of these functionalities is the application's 'intelligent color correction' which will scan your footages for situations where the lighting affected the look of your footage and automatically correct and standardize these colors across your entire timeline with just a click of a button. Corel's VideoStudio Pro 2018 is a great entry-level software that is simple enough for first-time editors but also offers a lot of advanced editing effects for more experienced users. Something we like about VideoStudio Pro 2018 is that the software is smart enough to accomplish some cumbersome tasks through automation. 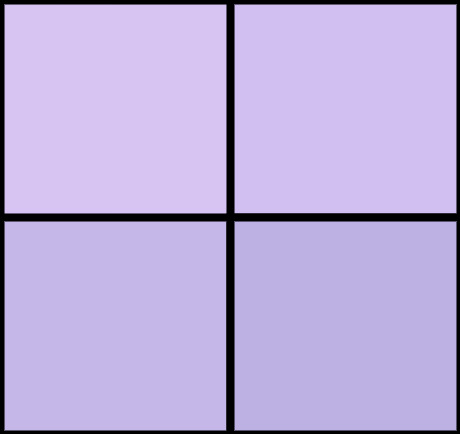 One of these ways is through the lens correction functionality (for GoPro) however there are also an array of one-click video fixes for things like stabilization or color-correction. 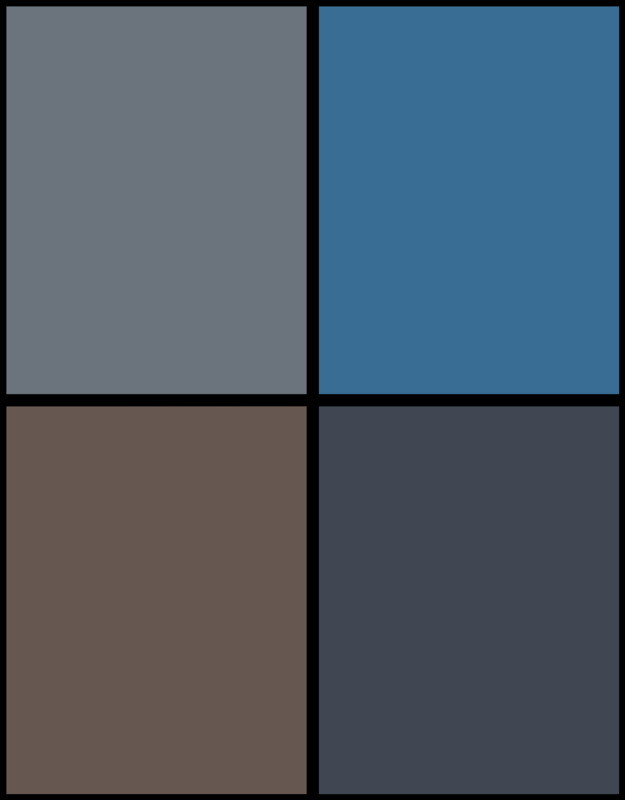 These allow you to refine the look of the resulting video footage without the knowledge needed to do it manually. The advanced features that VideoStudio Pro 2018 offer include multi-camera editing, 360-degree editing, chroma key (aka the green screen effect), motion tracking, stop motion, and split-screen video. 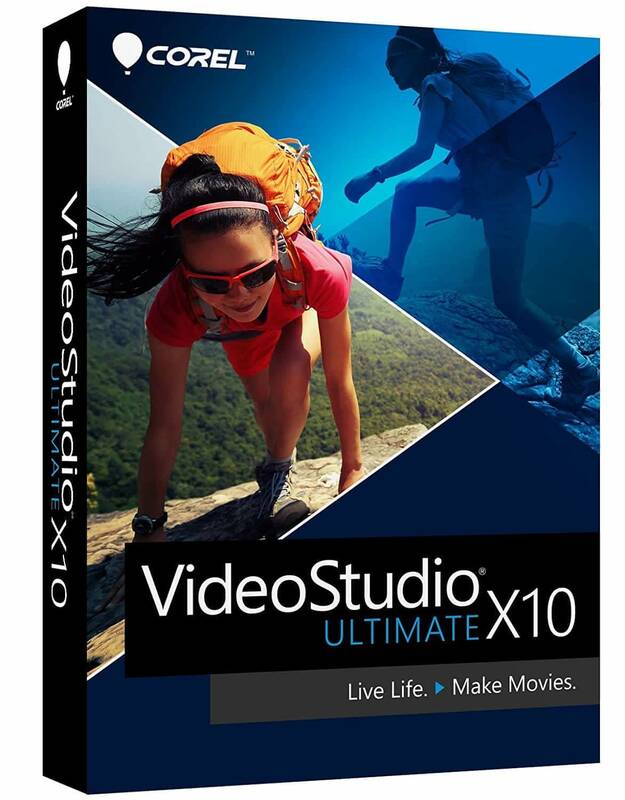 We think VideoStudio Pro is a stellar software for someone looking to learn the basics of video editing yet want something that can continue to cater to their editing needs as their skills and knowledge grows. If you are reading this then congrats on finishing our guide on beginner-friendly video editing applications! We hope you have learned a lot of valuable information and are now able to apply it to your future software purchase. If you are feeling overwhelmed by all of this information, then don't worry. You can always bookmark or save this article to revisit when you are ready to learn video editing. Again, we are available to answer any questions or provide any advice we can if you take the time to leave us a comment below this article. We also don't mind compliments if you enjoyed this guide or found it helpful! From all of our team at The Tech Reviewer, we hope this piece of content helps you decide the which of the best video editing software for beginners is ideal for your situation! Corel VideoStudio 2018 does have Integrated Tutorials and 4K Support. Both of these things have been in the application for years. The Tutorials may be Web-Based, but they are still there and put front-and-center when you first open the application. Additionally VEGAS Movie Studio is only worth getting in the Platinum SKU, which is barely more expensive than the base SKU. That version will give you a Stabilizer. A competitive advantage VMS has over the others is that it has the same Color Wheels as VEGAS Pro, for those people who have to color-correct their footage. It also has OpenFX and VST Plug-In support – and there is an upgrade path to VEGAS Pro from Movie Studio; so it’s cheaper to move up than from those other products. It also has, by far, the best Audio Editing toolset, and round trips seamlessly with SOUND FORGE Audio Studio. VMS has Timeline Editing and Track Layout most like a Professional Editing application. It’s basically 85% of VEGAS Pro Edit with a super low price tag. Get that, and add NewBlueFX Prime (includes their Stabilizer and Chroma Key Pro Plug-Ins) along with HitFilm Ignite Express, Ozone/RX Elements, and some of the free iZotope Plug-Ins: you’re golden. Out of this list, that is the consumer NLE I’d recommend: VEGAS Movie Studio Platinum – assuming you’re on Windows. iMovie isn’t available on Windows, Premiere Elements isn’t worth the price tag (and eats up tons of drive space and RAM, with all of Adobe’s DRM processes, etc.). PowerDirector is a bit overrated. VideoStudio has a really bad, non-configurable track layout and is often plagued by bugs and performance issues (but it has, by far, the best plug-in bundle in its Ultimate SKU – though it doesn’t support OFX/VST and has bad audio editing/effects/tooling).